This Mammoth Lakes vacation condo offers a quaint unit at Mammoth's luxury hotel, Grand Sierra Lodge. You'll find all the amenities at Grand Sierra Lodge available to you, including a heated pool and private gym. Located just steps away is Mammoth Village where guests will find shopping, dining, and nightlife that makes staying in Mammoth Lakes that much more exciting. Another amenity you will enjoy as a guest of the 'Village' Grand Sierra Lodge is secure underground parking. Easy ski access in winter makes this location all the more appealing. 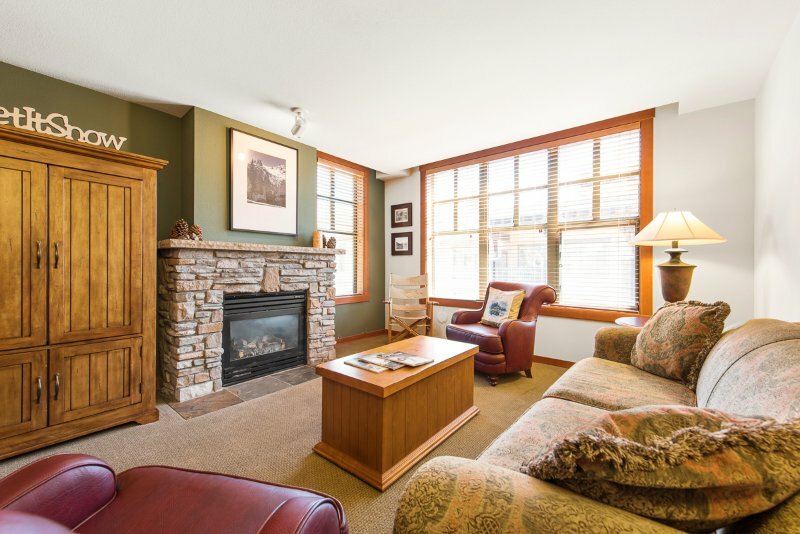 Relax knowing you are just a few steps from reaching the Mammoth Lakes Resort, and can quickly retreat back to your condo to warm up in front of the fireplace for a lunch break or early après ski. 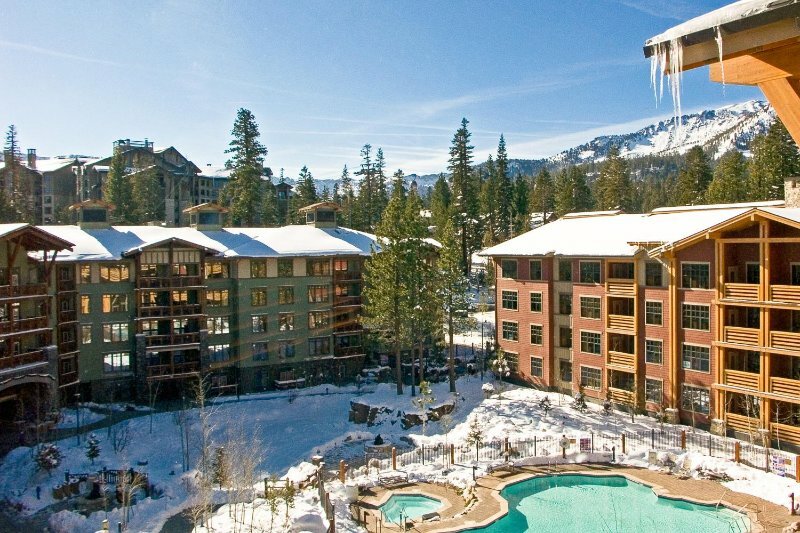 Village 1401 at Grand Sierra Lodge is the...This Mammoth Lakes vacation condo offers a quaint unit at Mammoth's luxury hotel, Grand Sierra Lodge. You'll find all the amenities at Grand Sierra Lodge available to you, including a heated pool and private gym. Located just steps away is Mammoth Village where guests will find shopping, dining, and nightlife that makes staying in Mammoth Lakes that much more exciting. Another amenity you will enjoy as a guest of the 'Village' Grand Sierra Lodge is secure underground parking. Easy ski access in winter makes this location all the more appealing. Relax knowing you are just a few steps from reaching the Mammoth Lakes Resort, and can quickly retreat back to your condo to warm up in front of the fireplace for a lunch break or early après ski. Village 1401 at Grand Sierra Lodge is the perfect condo for winter vacations, but also a great home base for your summer getaways. Yosemite National Park is just a short drive away and unlocks endless opportunities for sightseeing, hiking, and adventure. Simplify your summer Yosemite lodging by staying at the convenient Village Grand Sierra Lodge. 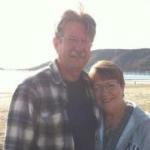 Lake McLeod is 5 miles from the Village and is a great hike for all skill levels. This 1.5 mile gradual hike is perfect for packing a picnic and enjoying the breathtaking views. There is a spacious kitchen area, perfect to cook meals for the whole crew. With granite counter tops, updated appliances, and seating for up to 6 people, everyone can catch up from the day's explorations. A few feet away in the living area, there is a couch and two comfy over-sized chairs perfect to cuddle up in front of the gas fireplace or watch TV. The master bedroom features a king size signature Pillow Top bed and a 32' flat screen TV as well an an en-suite bathroom. The second bedroom located across from the first has a queen mattress There is an additional sleeping room on the comfortable sofa bed in the living area, making this convenient vacation condo ready for 6 guests in total. 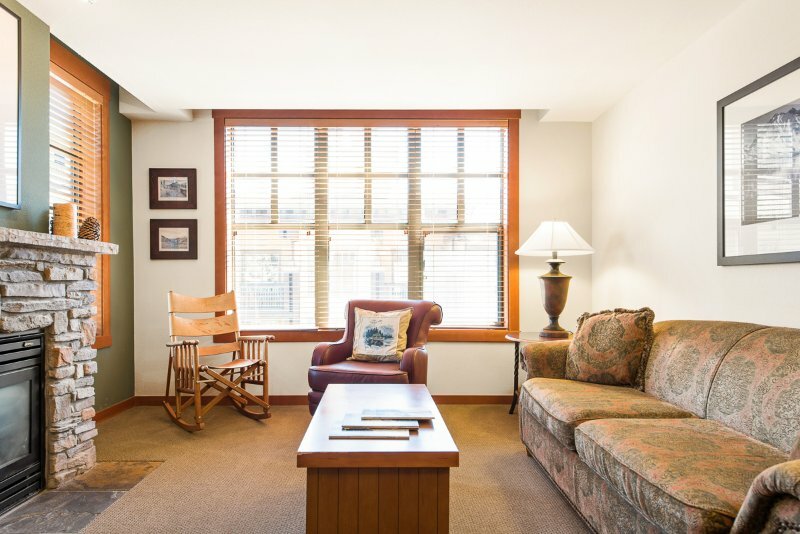 With endless winter and summer activities and centrally located, this vacation condo is the perfect spot for your next Mammoth Lakes getaway.